Are you an art or history lover? Join us for visiting San Telmo Museum. We will visit the permanent exhibition. From one hand, there is a painting exhibition based on landscape & portrait. We will appreciate the painting evolution during the time. 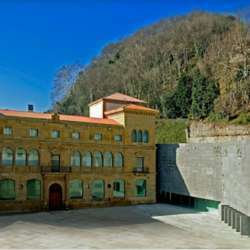 From the other hand, there is an exhibition of the history of Basque Country society. 2) We will have free audio guide as support if there are available. 3) Concerning to the price of the entrance, it cost 6€ but there are discounts for students, unemployed... In case of any doubt, please send me an email. I'm looking forward to meeting you and introducing you to others members!